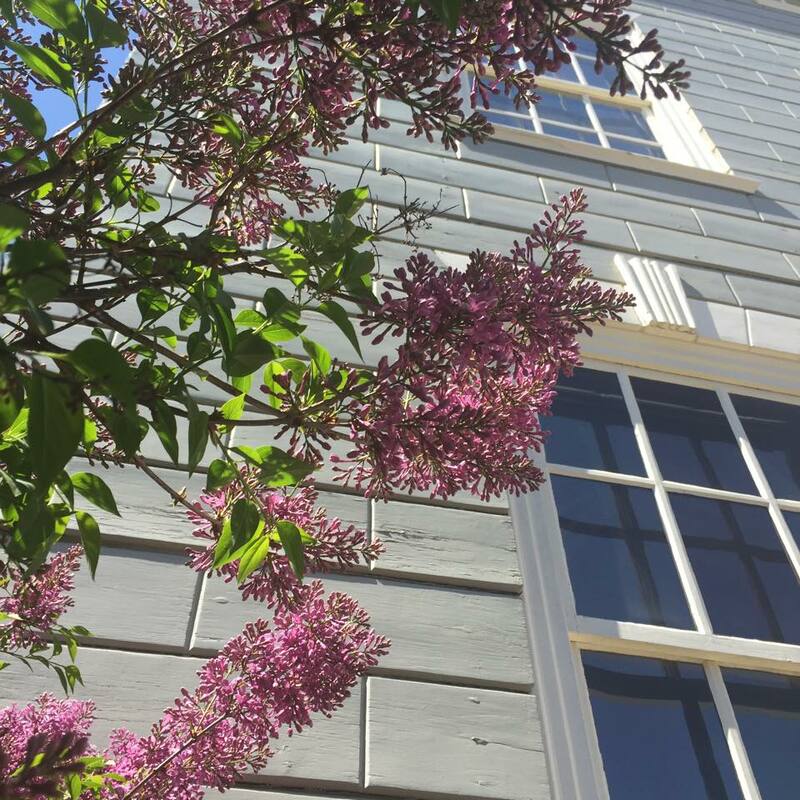 The first blossoms have arrived and the air is fragrant with sweet aromas – the garden season is just about here in the North of Boston region! Throughout this spring we have brought you a series of blogs on the region’s many gorgeous gardens and are wrapping up with three more wonderful places to visit. Yes. we know that we have barely scratched the surface when it comes to these hidden gems, but we don’t want to spoil the fun in discovering a new garden to explore. Along your journey, though, you should definitely visit.. The summer home of Henry Davis Sleeper, one of the first professional interior designers in the United States, Beauport is an Arts and Crafts-style mansion housing a curious and fascinating collections of colored glass, china, folk art, and more. No two rooms are similar and each room is uniquely spectacular. This spectacular attention to design and detail continues outside in the immaculate garden “rooms” which overlook Gloucester’s scenic waterfront. These Arts and Crafts-style gardens were recently restored to reflect their original 1920s-30s appearance. Beauport’s grounds are open Tuesday – Saturday, May 23-October 17. Visitors are welcome to visit the grounds and gardens, bring picnics, or rent them for small gatherings/weddings. 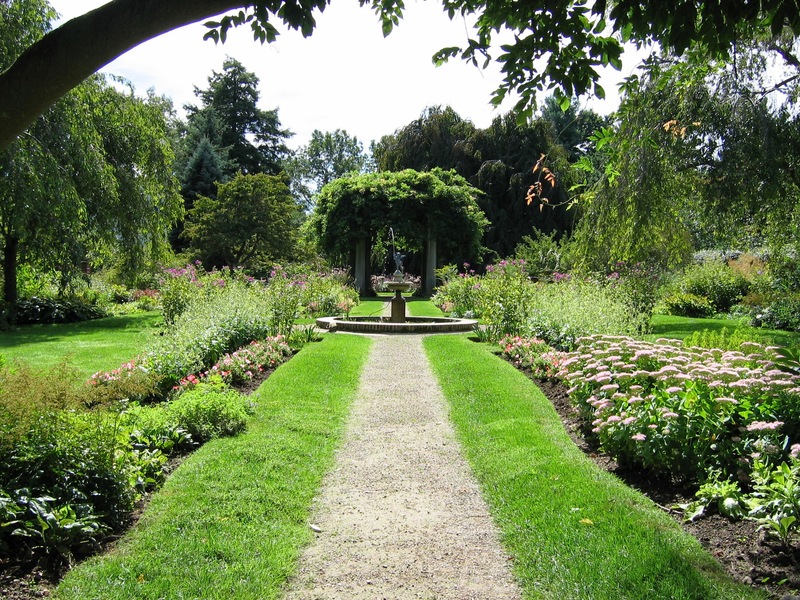 For those especially interested in learning more about Beauport’s gardens, we recommend their Creating Beauport’s Historic Landscape event on May 21. Learn how the landscape evolved over time, the philosophy behind the 2011 landscape restoration, and how the exterior of the house and the landscape play together. The Jeremiah Lee Mansion, owned and operated by the Marblehead Museum, is a marvelous example of Georgian architecture. Built in 1768 by the wealthiest merchant and ship owner in Massachusetts, Jeremiah Lee, the spectacular and imposing mansion hides a wonderful secret – its historically-inspired gardens. 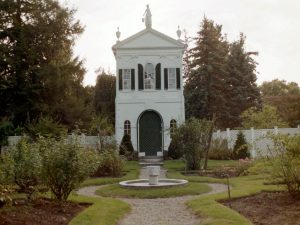 Maintained by the Marblehead Garden Club, the Lee Mansion Gardens are set out in a series of outdoor “rooms” (a configuration that we’ve come to see in many gardens while researching this blog). The perennial border surrounds the large upper terrace, which overlooks the sundial garden with its octagonal-pattern of boxwood bushes. 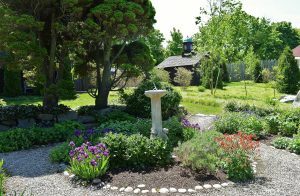 The herb garden features a wide array of herbs authentic to the 18th century and a pea-stone path navigates through the lower garden with its native trees, wildflowers, and shade plants. The beauty of the outdoors continues in the mansion where visitors are greeted with beautiful floral arrangements in the entry hall. The Lee Mansion is open Tuesday through Saturday, June-October and visitors are welcome to take a self-guided tour of the gardens with a new brochure the Marblehead Garden Club has put together. Much like Beauport, Glen Magna stands as a prime example of early 20th century summer living in the North of Boston region. The property, anchored by a Colonial Revival house, encompasses eleven acres of scenic grounds and award-winning gardens. In the late 1800s, Ellen Peabody Endicott, granddaughter of the property’s original owner Joseph Peabody, expanded and enhanced the grounds; work that paid off handsomely when she was awarded the Hunnewell Gold Medal from the MA Horticultural Society. This prestigious award is given to the owner of an estate whose grounds are adorned with “rare and desirable ornamental trees and shrubs in a tasteful and effective manner so as to present successful examples of science, skill and good judgement as applied to the embellishment of the country residence.” Most noted in the gardens is the Derby Summer House, a 1789 two-story “summer house” moved to the property in the early 20th century. Glen Magna Farms is currently owned by the Danvers Historical Society, who restored the gardens to their Ellen Peabody Endicott-era appearance and continue to uphold their noted (and beautiful) reputation. Check out the Glen Magna Farms Gardens blog for photos and information on upcoming events.